The industrial belt applications that we can offer through our network of authorised belt manufacturers – Gates, Megadyne & BRECO are the ultimate belt drive systems applied around the World. As the World’s leading companies for rubber & plastic technology, backed by outstanding expertise, continuous innovation and unsurpassed application & design support, we have everything covered from first design to final use. For power transmitted and linear drive systems our brands provide strong & relieable products that are designed for no stretch, efficent, increased capacity, ease of use, minimum maintenance, long service and accuracy which are perfect for all heavy and rigorous applications. Our belt manufactured options that we offer are regarded as the best where quality and continuity is required. From rubber to polyurethane, special cords, backings or profiles, we have all applications covered. 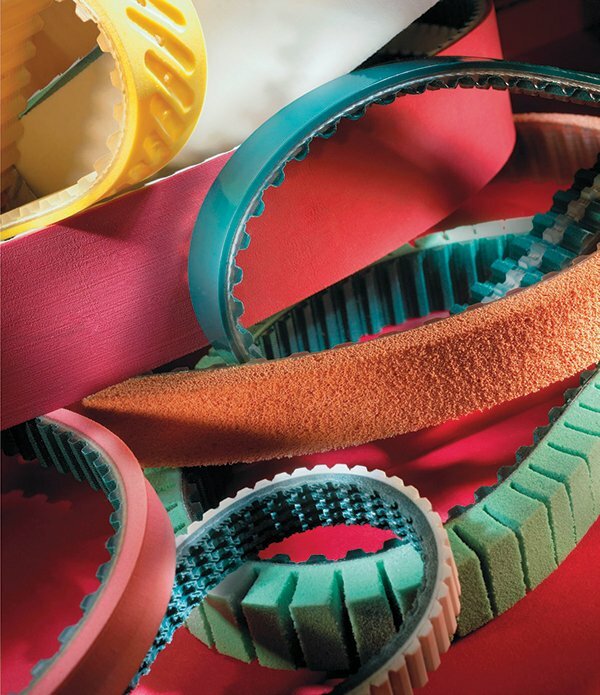 Today our belts are used in all sectors including Airports, Automotive, Bakery, Conveying, Elevator, Food, Glass, Logistics, Mechanical, Printing & Packaging, Sugar, Textiles, Timber, Woodworking and all other industries. We are aware of the importance of substainability and focused on cooperating with our customers to offer sophisticated solutions for special needs. We can help with technical enquiries to ensure that the best suitable belts are specified for each application.